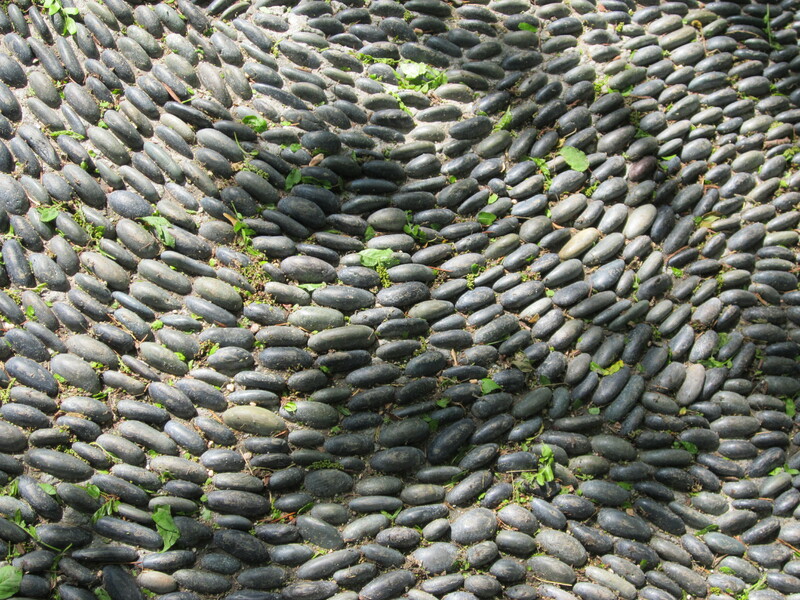 Landscape Design using Architecture, Stone and Clever Stuff! In Central Texas we are in a long running drought only getting worse with each season. I do many, many landscape consultations and landscape designs each year assisting my clients in reducing their lawn to save water, but how do you justify planting new plants into a huge area when a lack of water is already an issue? 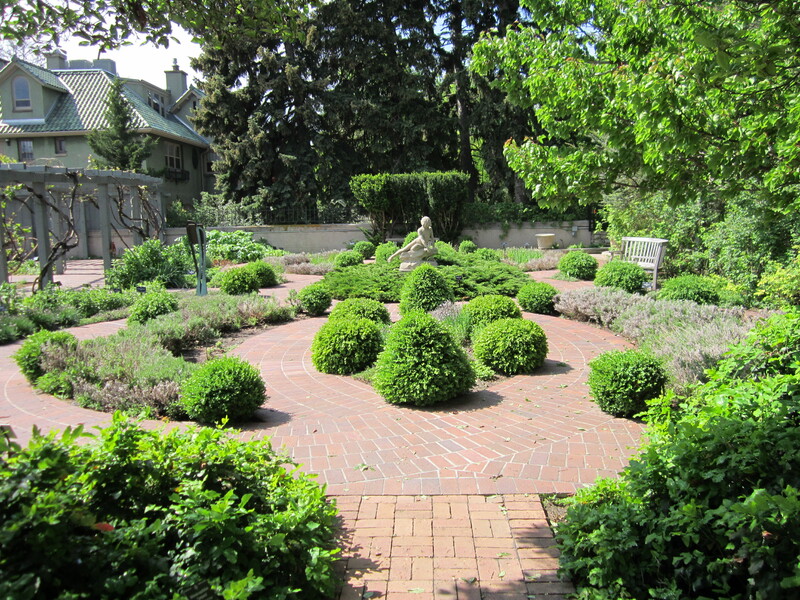 Even xeriscape plants need water to begin with so a great way to reduce your water usage while plants are establishing is to use architecture, stone, mulch or any other clever finds in your landscape. Here is some inspiration I recently photographed at the Denver Botanical Gardens. 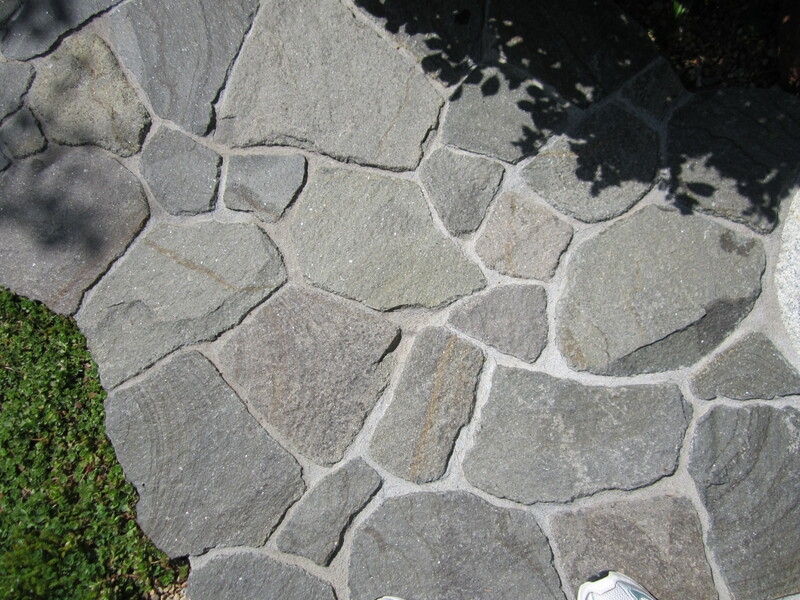 Obviously these materials can be substituted with local stone, reclaimed bricks, sand, mulch or crushed granite. This would be just as effective on pea gravel or sand. This is a great use of design and simplicity. Also eats up a lot of space and does not require water. You could create a similar space (above) with any items you collect from metal pieces to old bikes. Just be creative and keep a common color theme. One of the mistakes people often make is adding too many elements and contrasting colors making it look chaotic. 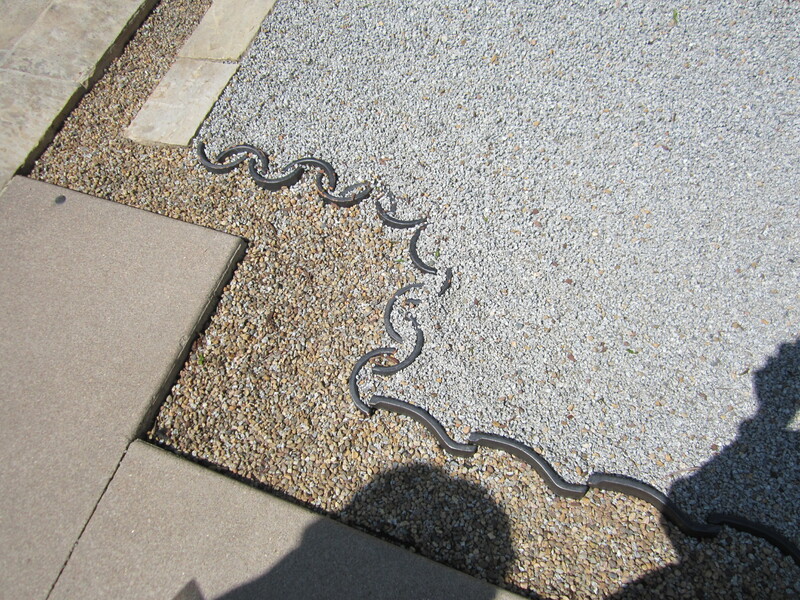 I love this look because they used cut metal pipe and other metal pieces to create this design in the Zen Garden. 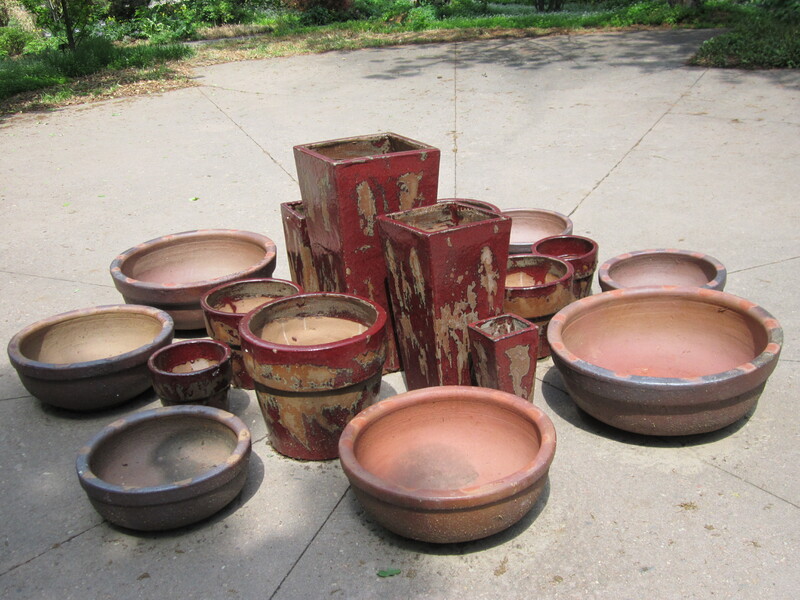 Recycled clay roof tiles could serve the same purpose. 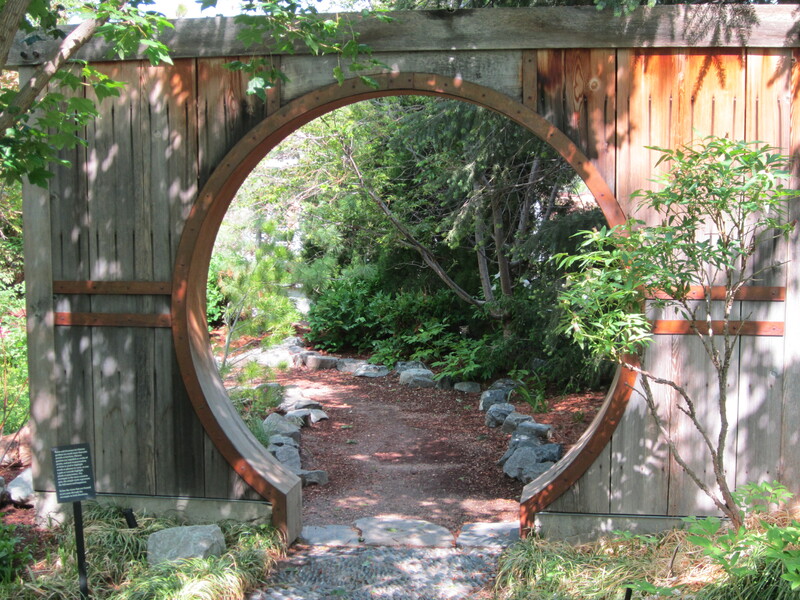 Creating the coolest “green” spaces begins with recycling and repurposing. Below I love the use of large rocks and minimal plantings to create an inviting space without all the watering needs a large planting bed might require. Zen garden. A great way to use up space without water or plants. 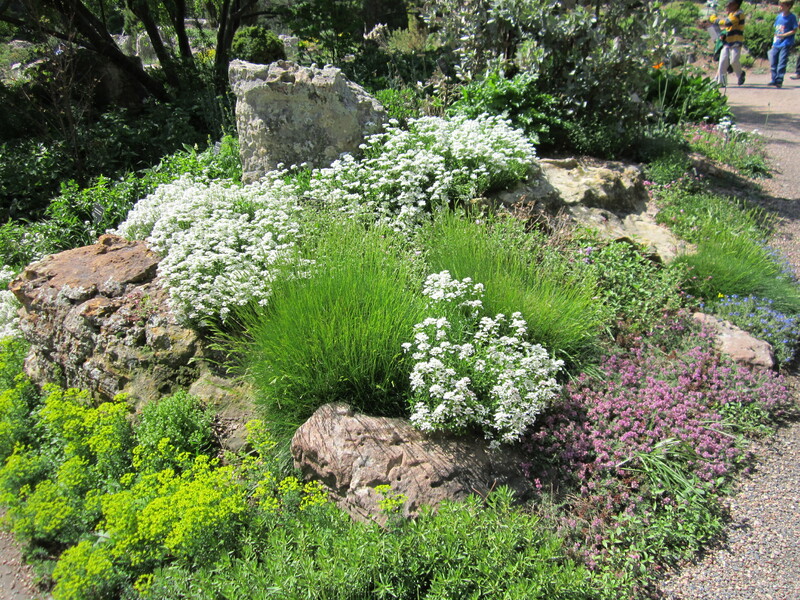 The next photo has a great compromise of rocks and native groundcover with texture and color. Rocks, rocks and more rocks. Featured here with low water plants. The next shot is similar but the use of stone in a vertical position changes the entire composition. You could use all sorts of materials this way from upside down colored glass bottles to left over pieces of tile. 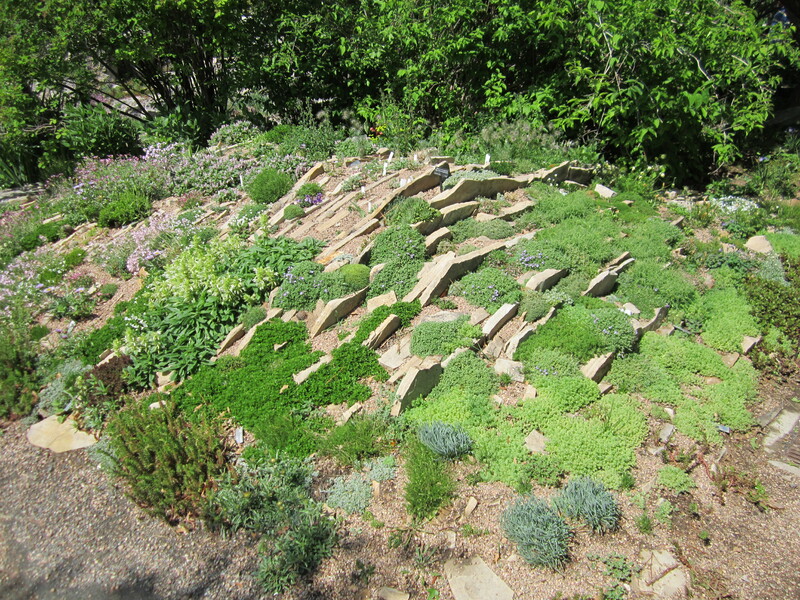 Ground cover with native or left over rock or brick is also a great way to build a swell, or berm to control water on your property. 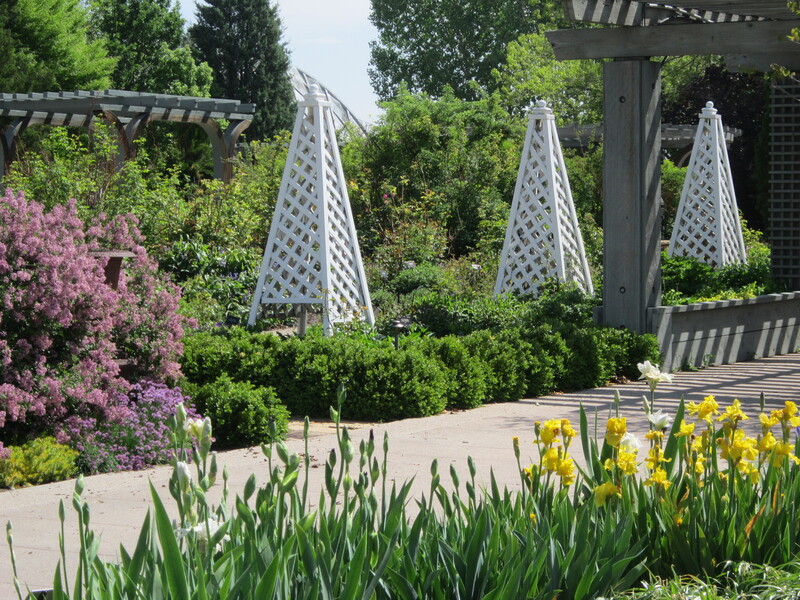 Lattice architecture can be used for growing vines or just for cool aesthetics. This key hole fence is a great way to separate your space while eating up real estate in the landscape. It could be made of see through material in a small space and of wood or metal in a large space that needs some obstruction for privacy or an unattractive view. Key hole entrance. An excellent way to separate a large space to create more intimacy. This could be built with old barn wood, fence pieces, metal panels, lattice or anywhere your imagination takes you. The top of this photo is an excellent option for yards with bad drainage or crazy grades. By installing french drains at the base of this seating area you could control where your water goes and make an otherwise shallow are or hilly grade a more functional living space. Of course, those on a flat-bed of limestone may not find this to be a viable option, though if your property allows you to “build-up” it could be an excellent one. The bottom of the photo could be used on any area with a ton of cool interpretations to your personal liking and taste. I love this design as it could be used in a myriad of ways. 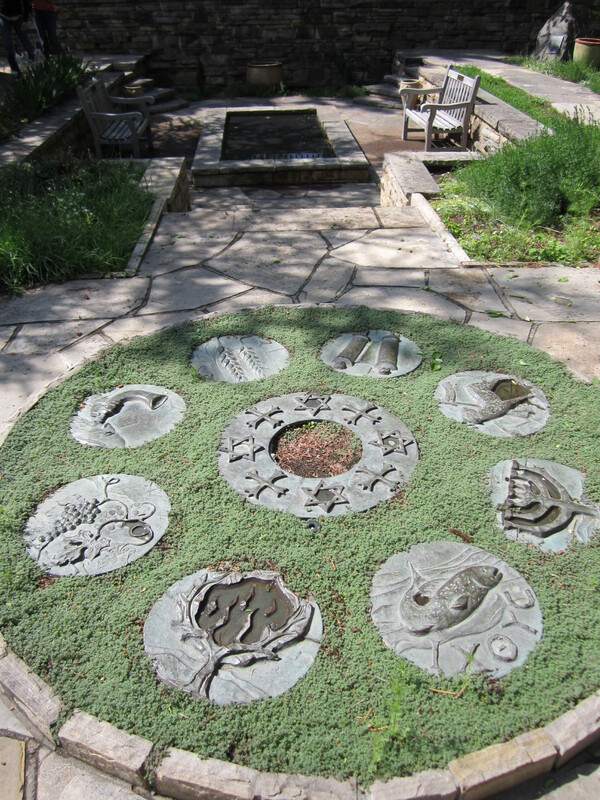 You could use children’s hand imprints, old dishes, stepping-stones or even rocks. Lastly, I love pathways. 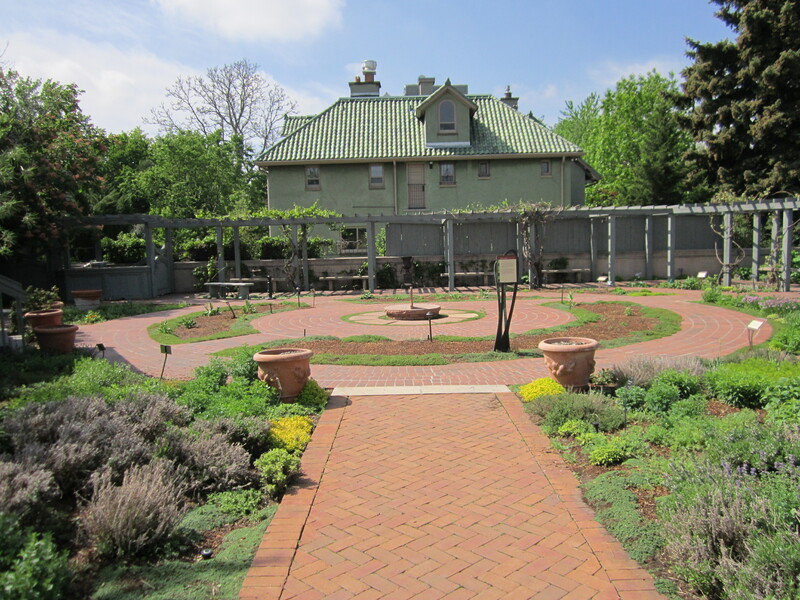 You should have paths to seating areas, to patios, benches or wherever you can lead your guests or yourself to a new place in the yard where the vantage point is unique. Obviously the first photo is a pricy design but could be replicated with crushed granite and native rock or any rock native to your area. 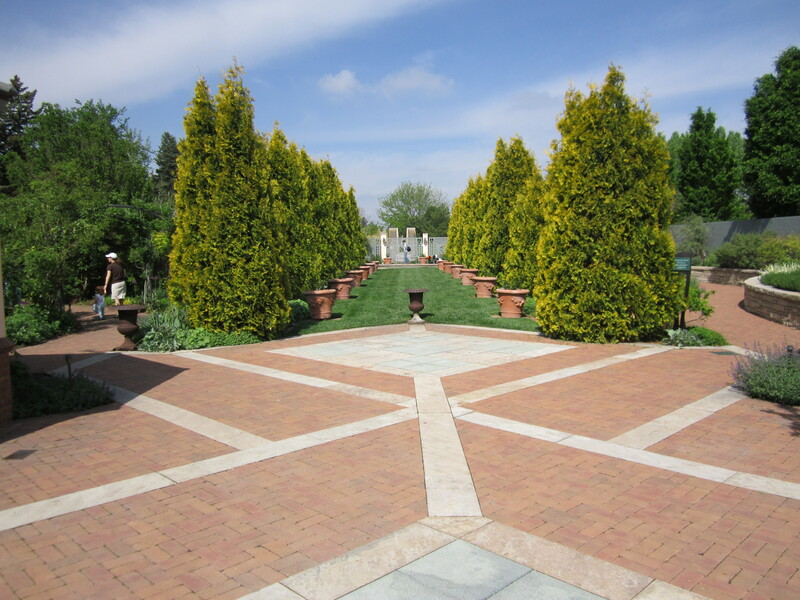 Pathways can be created from all sorts of materials from brick, rock, crushed granite to mulch. Not as crazy about the design concept below as there is a little too much going on, but I love the idea of the brick with smaller beds and a patio in the middle that would be perfect for a small pond, fire pit or patio area. While I am not really crazy about this over all design, I love the idea and by replacing the brick with crushed granite and using the center for a seating area you reduce the cost and leave plenty of room for outside planting. This is a similar space using more plants that I like a lot but for the lack of seating areas. Be sure to incorporate a lot of seating throughout your entire space. You are paying for it, why not use it! Again, not as crazy about the brick as I am the design and use of space. The space still looks large but you have greatly reduced the planting and watering areas. Finally, it is all in the textures. I love stone for creating drama and while these techniques can be pricey, they are fabulous and even when used in moderation can still be very effective! Hopefully you are as inspired as I was on my tour and will come up with your own clever ideas to repurpose, recreate, or reinvent your exterior living space. Hire a professional like myself or design your own space but however you do it, do it and be sure to include a lot of who you are and what makes you happy (as long as you are conserving water, being green and having fun!). This is very nice post. people will get information from this blog. your writing stuff so cool. To be honest, I didn’t realize you could use rocks to decorate the ground. 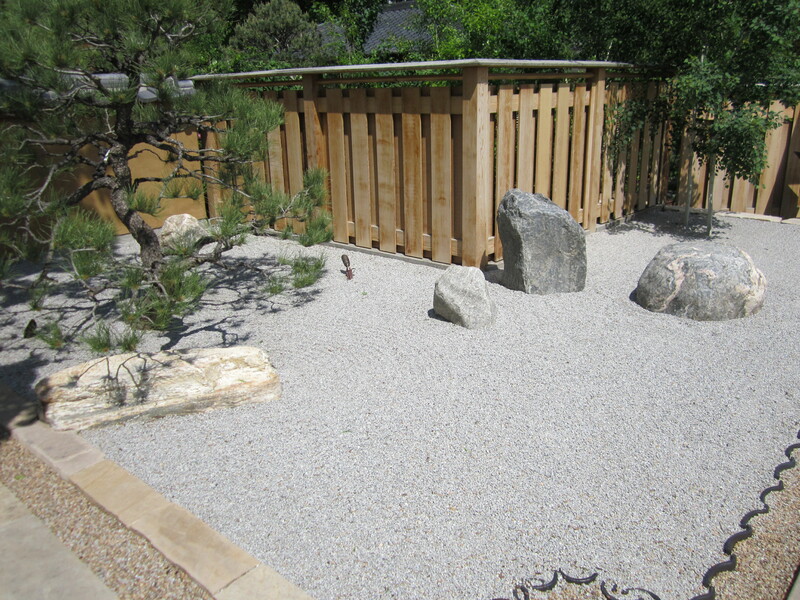 I especially really love the zen garden image. The faint patterns on the ground is a really nice touch. I’d be interested in seeing more gardens like that in the future. Taylor the rock is a great way to reduce water usage, but it does require maintenance to keep it weed free. It can also get hot in the Texas sun so you have to be mindful where you use it.